Cersei came through for “GOT” stans! 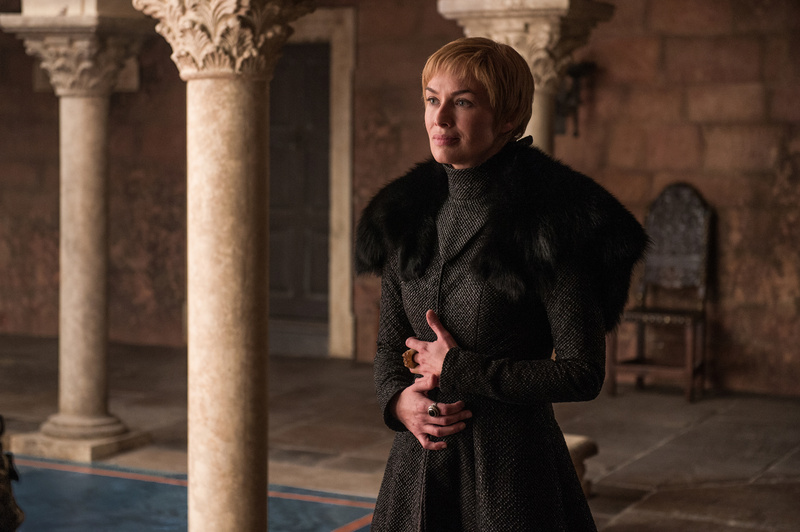 Lena Headey, who plays Cersei Lannister on “Game of Thrones,” celebrated the Sunday premiere of the eighth and final season with some awesome behind-the-scenes shots! She showed off her bald head from her big “walk of shame” scene from Season 5 and some of the silly moments with the cast. “Walk of shame prep,” the 45-year-old actress captioned a photo wearing her bald cap. She also posted an unexpectedly silly snap with one of Cersei’s enemies on the show – Septa Unella (played by Hannah Waddingham), a devoted follower of the High Sparrow! Lena shared another cute snap with actor Pilou Asbæk, who plays Euron Greyjoy, Cersei’s recent ally/lover. “Who wore it best,” she captioned the photo of the pair wearing matching “GOT” beanies. Pilou commented back to the photo with four red heart emojis. Not really Euron’s style, but we love this castmate bond! After the episode aired, Lena shared one last video of herself totally speechless from her excitement.